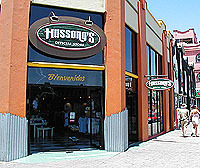 Shopping in Ensenada is made very easy and is geared toward the tourist. 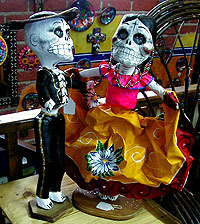 The stores vary from the souvenir and beach wear shops to Mexican handicrafts. You'll find excellent shopping for gifts and traditional Mexican crafts in the city's tourist zone along Lopez Mateos and it's side streets. 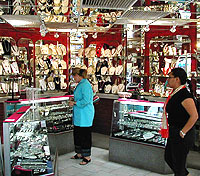 Here, you'll also find leather and jewelry shops as well as duty-free stores. 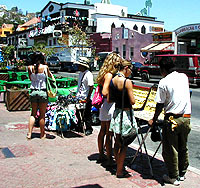 Many unique shops and galleries are set up outside of town, both as you enter Ensenada from the north and as you head towards Punta Banda and La Bufadora. 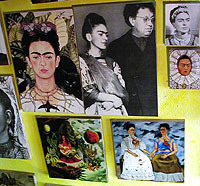 These artists offer their wares at incredible prices and a trip exploring these areas may prove to be valuable. 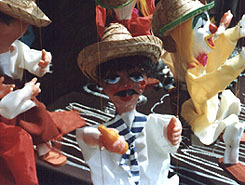 In La Bufadora you'll also find many craft malls for the tourist. Custom Shipping * Open: Daily 9am-5pm, Closed Tues.